Crops have withered and ranchers are culling herds after an unusually dry growing season in a country that is among the world’s top producers of soybeans and corn. Argentina’s soy production is projected to decline 31 percent and corn by 20 percent in 2017–2018 compared to the prior growing season, according to the U.S. Foreign Agricultural Service. 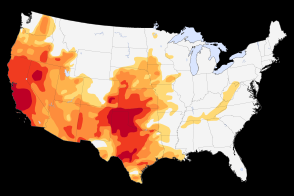 The economic consequences of the drought have been significant. Since December 2017, corn prices in the U.S. have risen 14 percent, and soybean prices are up 8 percent. 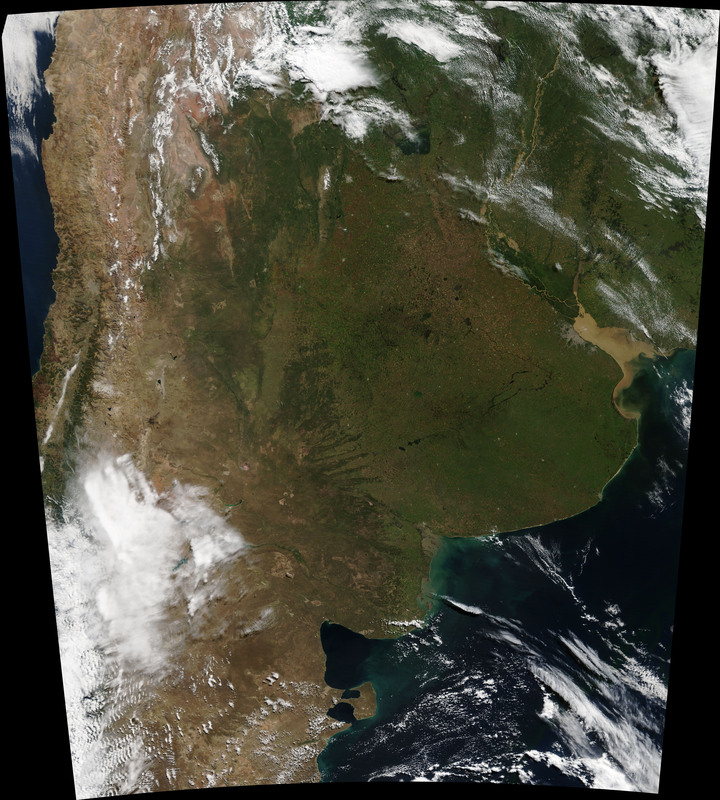 Losses in Argentina are expected to surpass $3.4 billion, making the drought the most expensive natural disaster in 2018 so far. 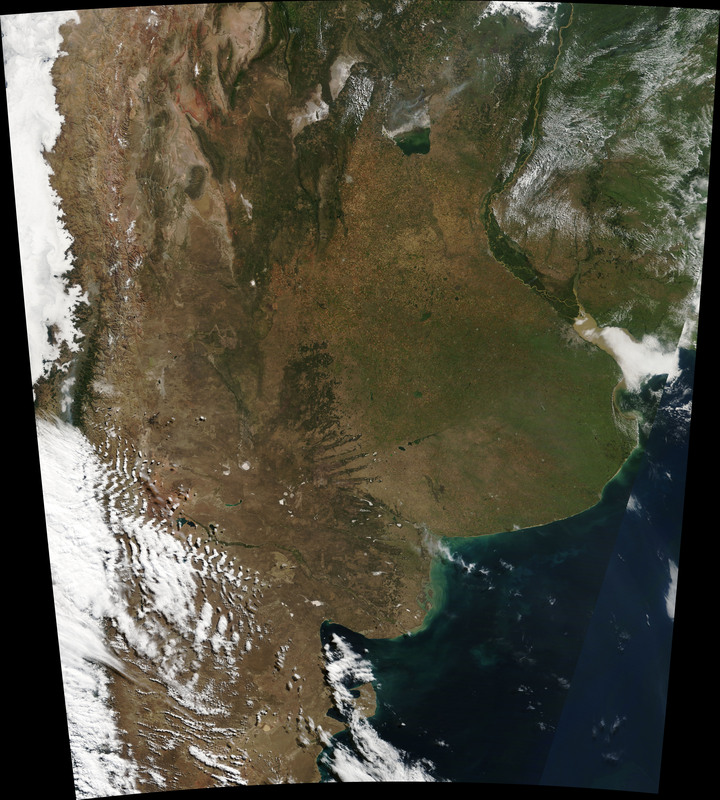 The Moderate Resolution Imaging Spectroradiometer (MODIS) on NASA’s Terra satellite captured these natural-color images of the flat, fertile Pampas region of central Argentina. The Pampas appeared lush and green in April 2017 (left) in contrast to the browner landscapes (right) visible one year later. 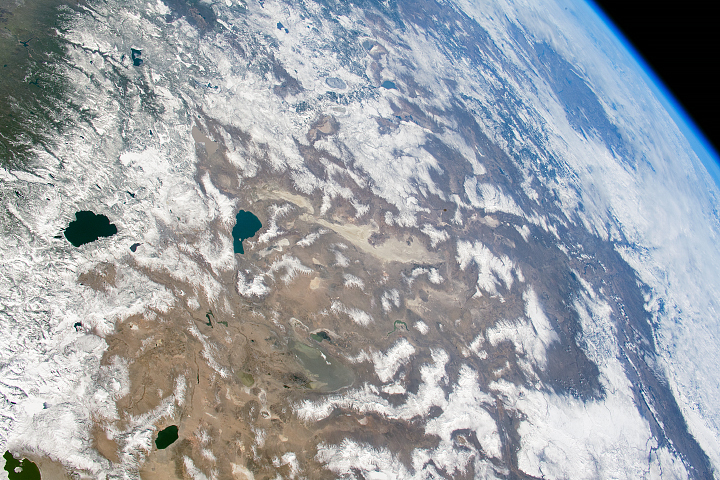 MODIS is just one of several satellite instruments useful for monitoring drought. 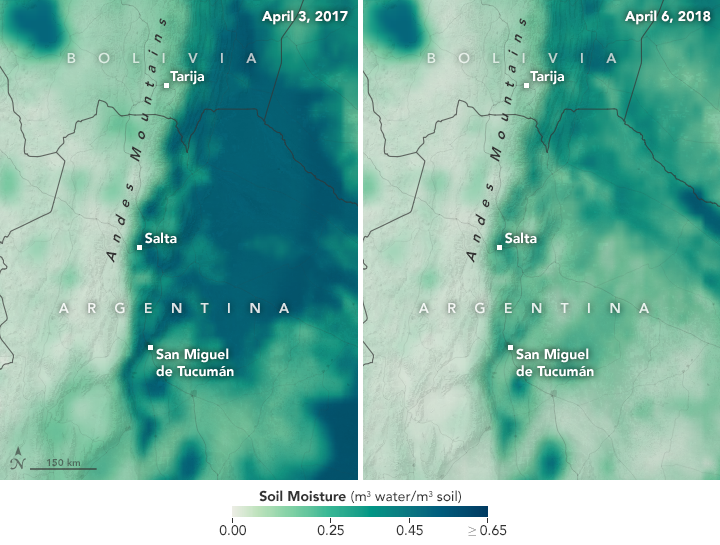 The soil moisture maps were produced with data collected on April 3, 2017, (left) and April 6, 2018, (right) by NASA’s Soil Moisture Active Passive (SMAP) satellite. SMAP carries a radiometer that measures soil moisture in the top 5 centimeters (2 inches) of the ground. 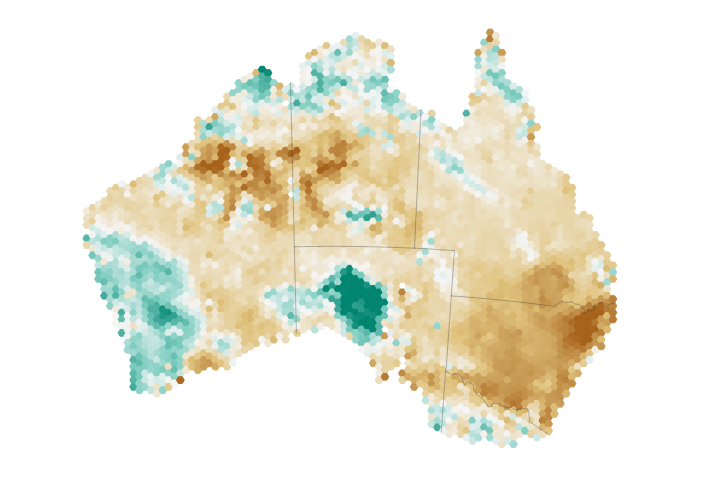 Dark green and blue areas are progressively wetter. Despite the projected declines in Argentina’s soy crop, an unusually big crop in Brazil should help keep the global supply of soy at very high levels. 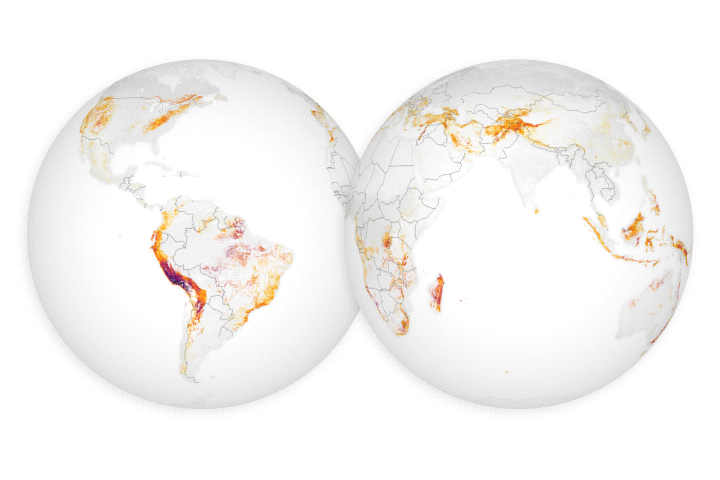 NASA Earth Observatory images by Joshua Stevens, using soil moisture data courtesy of JPL and the SMAP Science Team, and MODIS data from LANCE/EOSDIS Rapid Response. Story by Adam Voiland. A hot, dry growing season has scorched soybean and corn crops in the Pampas. 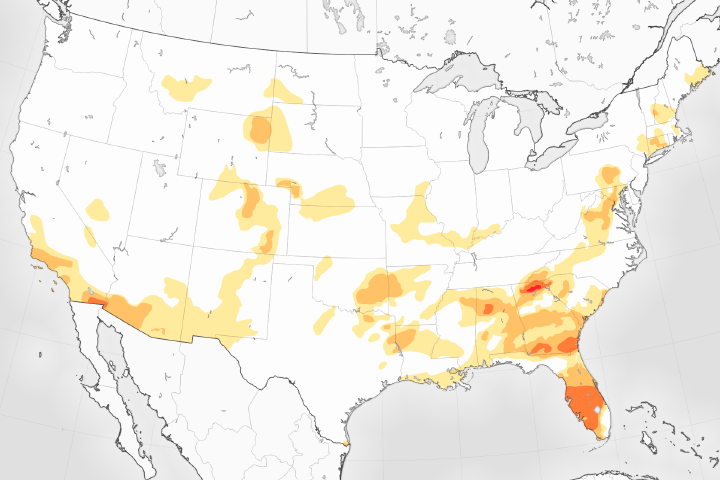 AgWeb (2018, April 5) The Impact of La Niña on the Current Agricultural Outlook. Accessed April 12, 2018. Bloomberg (2018, March 21) Unrelenting Drought Means More Suffering for Argentine Soy. Accessed April 12, 2018. GEOGLAM Crop Monitor (2018, April) Crop Monitor for AMIS | April 2018. Accessed April 12, 2018. Reuters (2018, March 27) Brazil soy crop, exports revised up on strong yields, demand. Accessed April 12, 2018. Reuters (2018, April 9) Argentina's herd to decline by as much as 1 million head of cattle due to drought. Accessed April 12, 2018. U.S. Department of Agriculture (2018, April) World Agricultural Production. Accessed April 12, 2018. 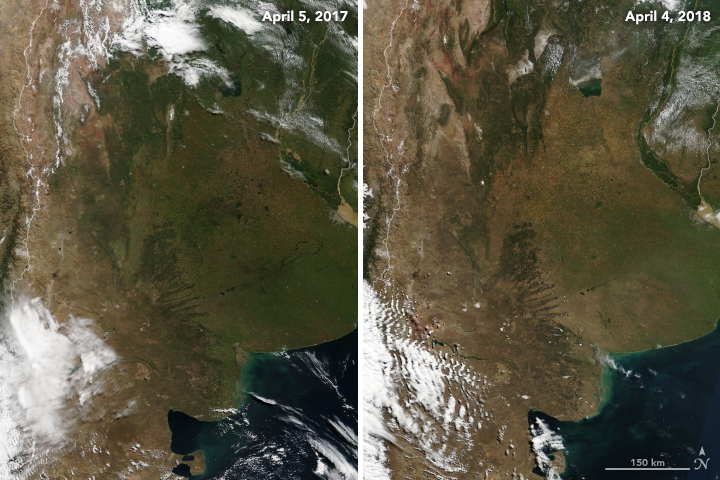 Weather Underground (2018, March 30) Most Expensive Weather Disaster of 2018: a $3.9 Billion Drought in Argentina and Uruguay. Accessed April 12, 2018.